Even the little ones love to show support! 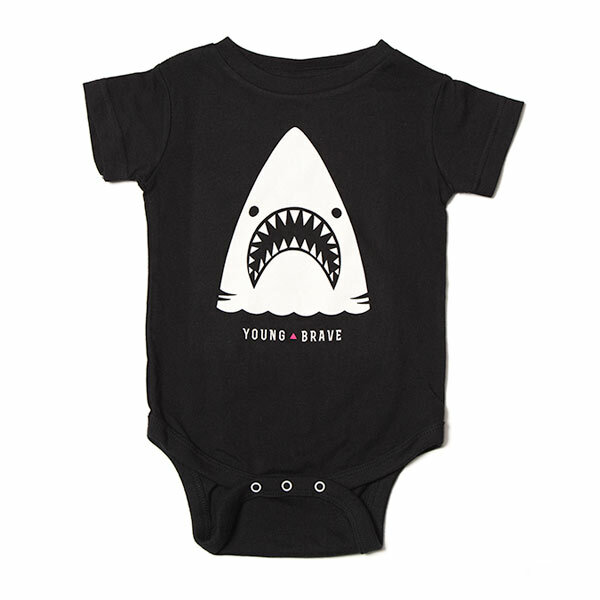 This black baby onesie features a playful and brave shark with our Young Brave logo. Made from 100% fine jersey cotton. THE YOUNG AND BRAVE FOUNDATION © 2018. ALL RIGHTS RESERVED.